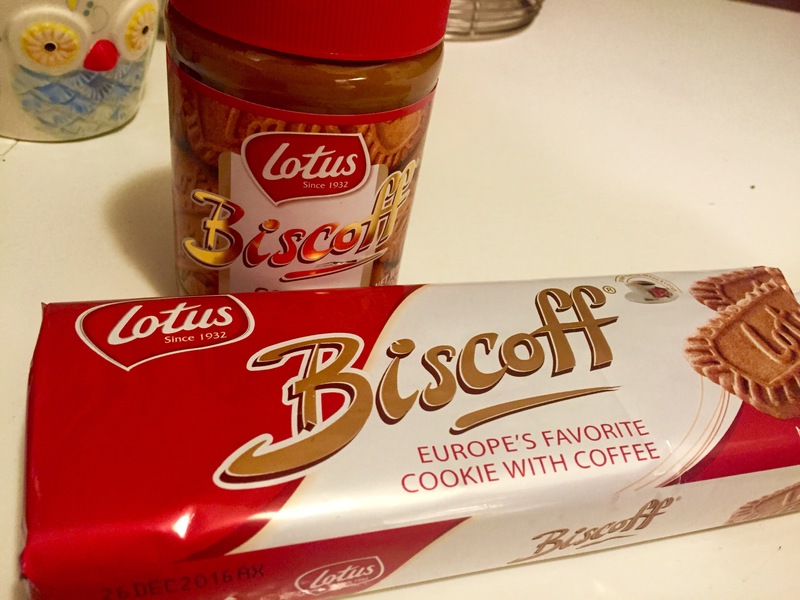 A few of the Walmarts here in OKC have *finally* started to carry Lotus brand Biscoff spread—also known as cookie butter. I fell in love with the peanut butter replacement a few years ago, before it was wildly popular. It’s been hard to find throughout the years but as people’s taste for the stuff grew, a few more stores have started carrying it. First, it was Trader Joe’s. Now, Walmart. I don’t normally shop at Walmart, but other than Whole Foods (I refuse to walk into that unnecessarily expensive joint) Walmart is the only place to find Biscoff spread. So, mission in mind & wallet in hand, I trudged through the squeaky automatic doors and let the cool breeze of corporate fueled gluttony slap me in the face…all so I could indulge my sweet tooth with that silky, spicey spread. Desserts starring cookie butter are few and far between—since the product is relatively new to the US. So I decided to grab a couple of packages of the reconstructed Biscoff cookies and make a tiramisu with this luscious spread. Couldn’t be so hard, right? 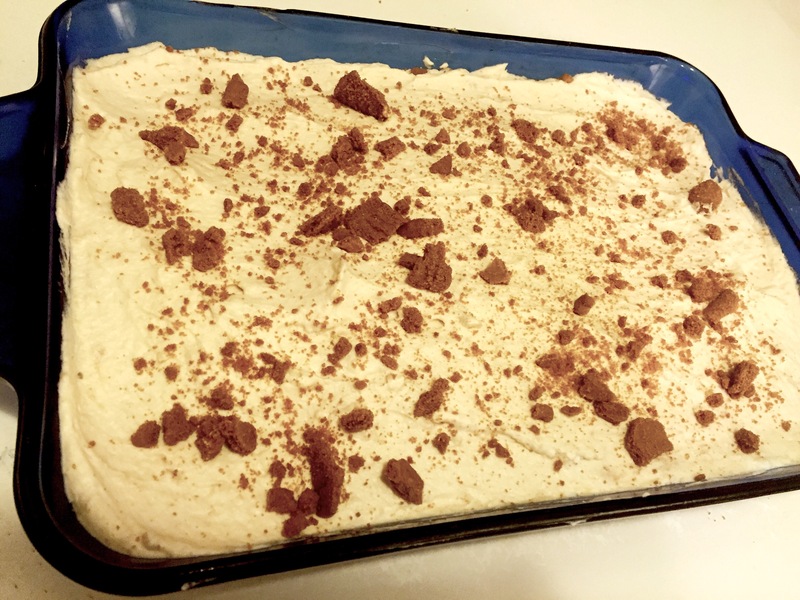 Biscoff cookies replacing ladyfingers, soaked in coffee instead of espresso, and cookie butter folded into marscapone—that’s the only difference between regular tiramisu and the ultimate dessert, COOKIE BUTTER TIRAMISU! That’s it! Only six ingredients! Cool coffee for 10 minutes in freezer. 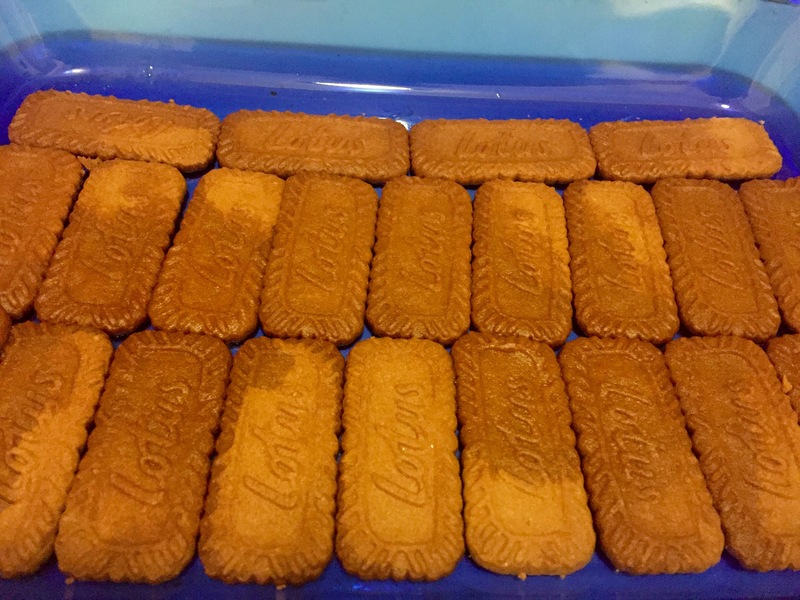 Dip Biscoff cookies lightly in coffee and then line bottom of 11×13″ with the dipped cookies. Make sure to shake off excess liquid before laying in dish. 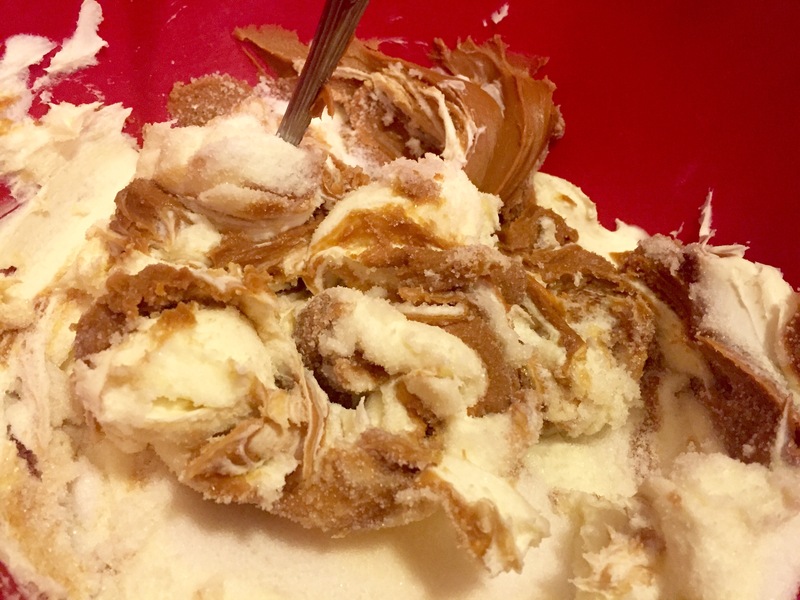 In large bowl, combine mascarpone, sugar & cookie butter and mix well. 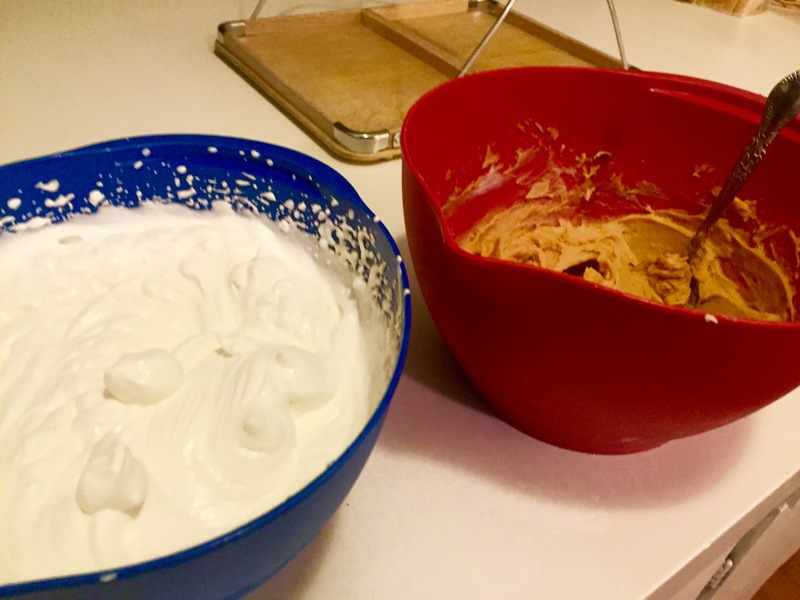 In metal bowl, use electric mixer to whip cream until stiff peaks form. Fold whipped cream into mascarpone mixture—it will be light and fluffy. Make sure no streaks of tan remain. Pour 1/2 of the mascarpone mix over cookie lined baking dish. Lay remaining coffee-dipped Biscoff cookies on top. Pour other half of mascarpone mix on top. 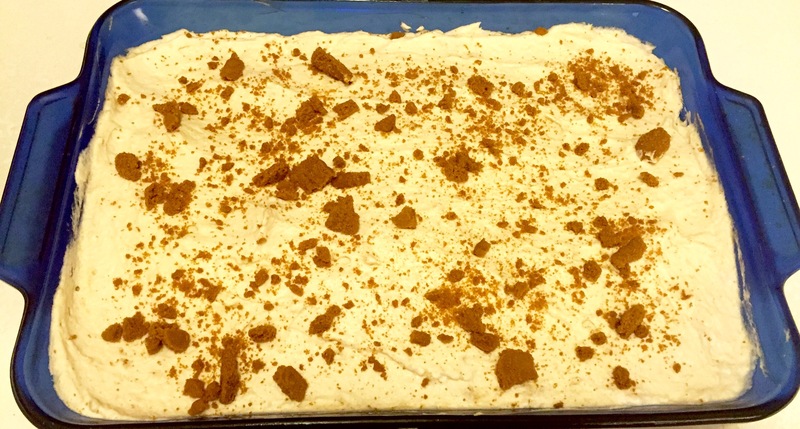 If there are any remaining cookies, crumble them on top of the tiramisu. Let set in fridge for at least 1 hour or overnight. Skill Level: Super, super easy. This is a beginner-level dessert recipe. Flavor Profile: Absolutely delectable. The cookie butter goes so well in the mascarpone, you’d think tiramisu would be made with it all the time. The Biscoff cookies work perfectly in place of ladyfingers, and add that extra level of cookie butter zing to the dish. Versatility: This recipe offers not much room for error. You can’t take out the gluten or the cheese without making it, well, not a tiramisu. One tip, though: use a cold metal bowl to whip the cream. I usually put a metal bowl in the freezer for 10 minutes to chill it, and then whip my cream. 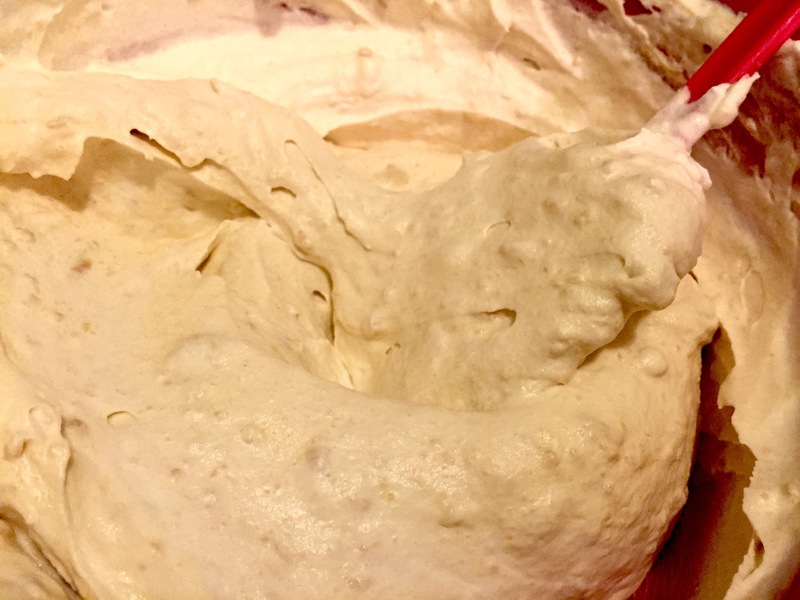 You’ll find that by doing this your cream will whip up faster & easier. End Score: FIVE STARS! This was such a treat to make & then eat. Yum. I took this to work the next day and it was gobbled up in seconds.